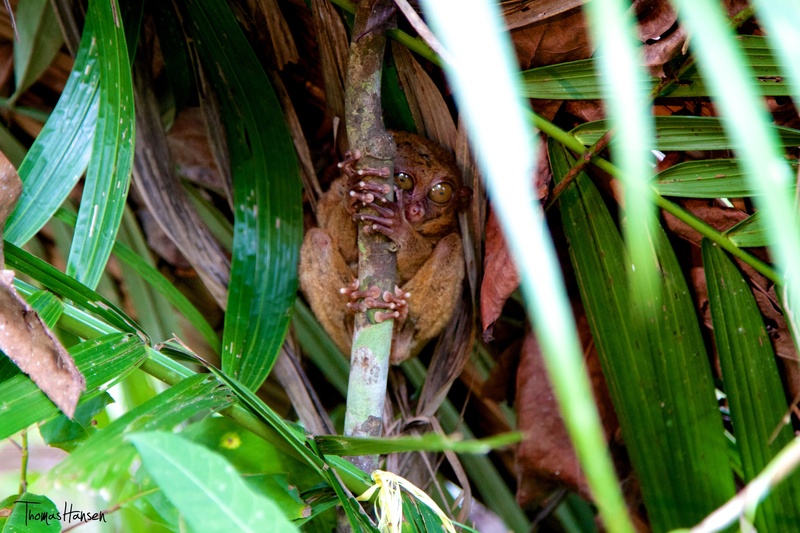 **WARNING** Catching sight of a tarsier in the wild is ridiculously difficult. Do not try this at home if you’re not up for the challenge! On our recent trip to the Philippines, we went to the island of Bohol for two reasons: chocolate hills and tarsiers. We initially went there thinking we would be having one heck of a meal (chocolate covered tarsiers), but then found out afterwards that you couldn’t actually eat either of them. Ok, joking aside, we were beyond excited to catch a glimpse of these famous bug-eyed primates. We didn’t do a lot of research beforehand, and ended up going to the same place most tourists probably get dragged to. 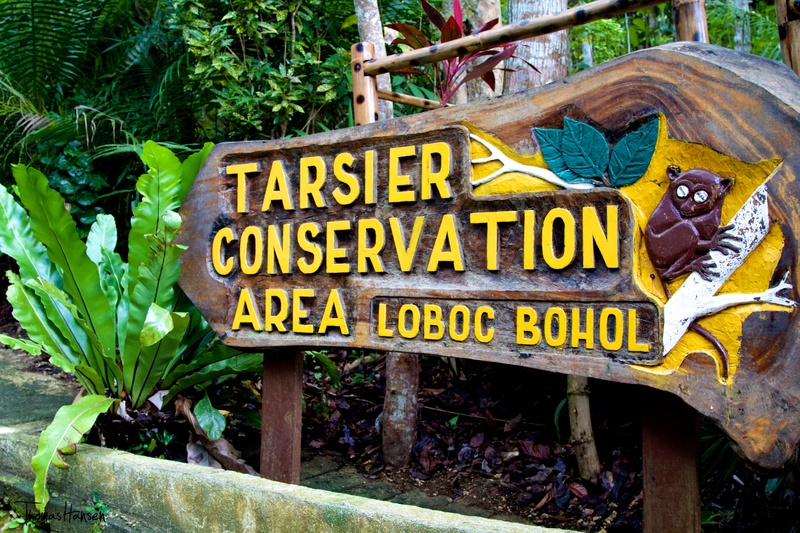 The sign at the entrance read that we were at the Loboc Tarsier Conservation Area, and after doing a bit of research afterwards for this post, we found out that we were definitely at the wrong place. What we didn’t know at the time was that the place our driver brought us to was a for-profit business, and not really interested in the conservation of tarsiers at all. We should’ve known better. It was too cheap and too easy to get to, with far too many visitors. Something didn’t smell right at the time, and we’re kicking ourselves now for our ignorance and not walking away. The place we needed to be was the Philippine Tarsier Foundation, which is genuinely interested in the conservation of tarsiers. Before we knew this though, we were super pumped to have an all out staring contest with these little guys. 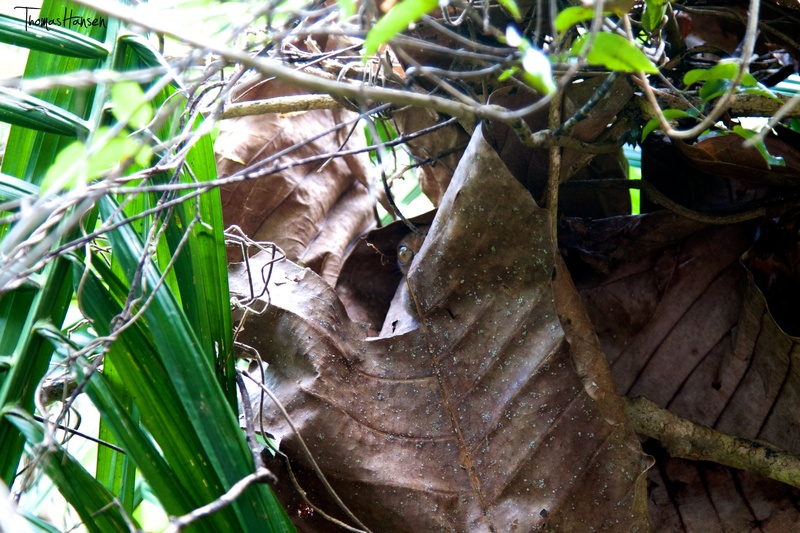 In total, we spotted a total of 2 1/2 tarsiers, all with the help of a “volunteer” at the sanctuary. None of the tarsiers we saw were in cages, but it’s very possible that they were placed in their locations to appear wild. Otherwise, we have no idea how anyone could possibly spot one. They’re completely nocturnal, have a body length of 10-15 cm, and are incredibly shy animals. We did manage to have a few staring contests with one though. He totally won. 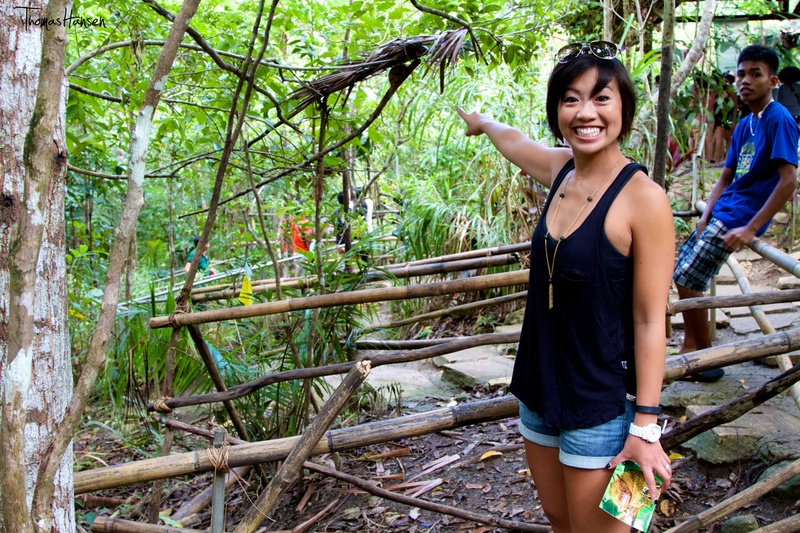 As exciting as it was to see a tarsier, we were definitely disappointed with the experience for several reasons. 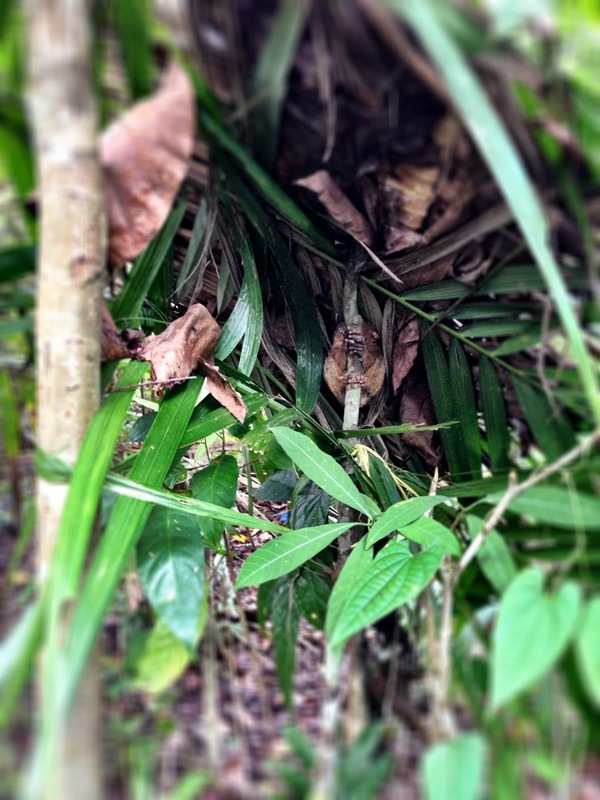 First, we thought we’d see more than 2 1/2 tarsiers. Second, it felt like a zoo, but not the kind that is interested in conservation. And third, it felt unauthentic, like we had just been taken to yet another tourist trap. We want to hear about your tarsier experiences. 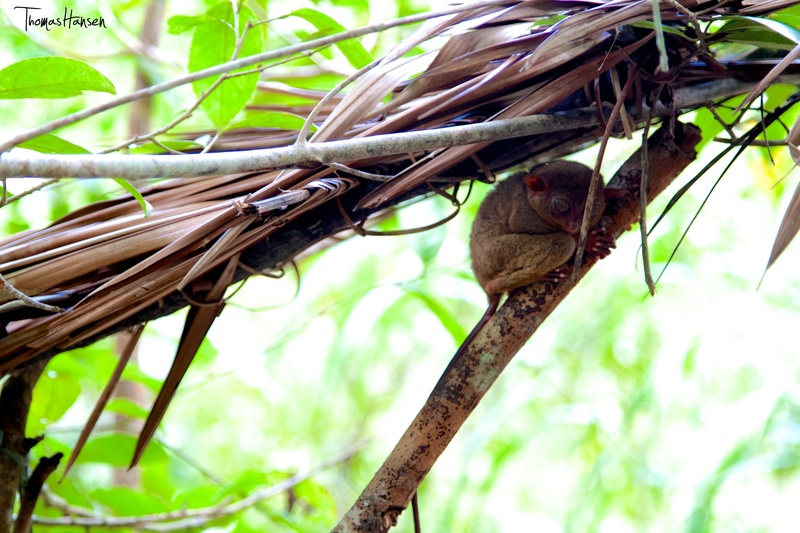 Have you been to the Philippine Tarsier Foundation near the town of Corella? 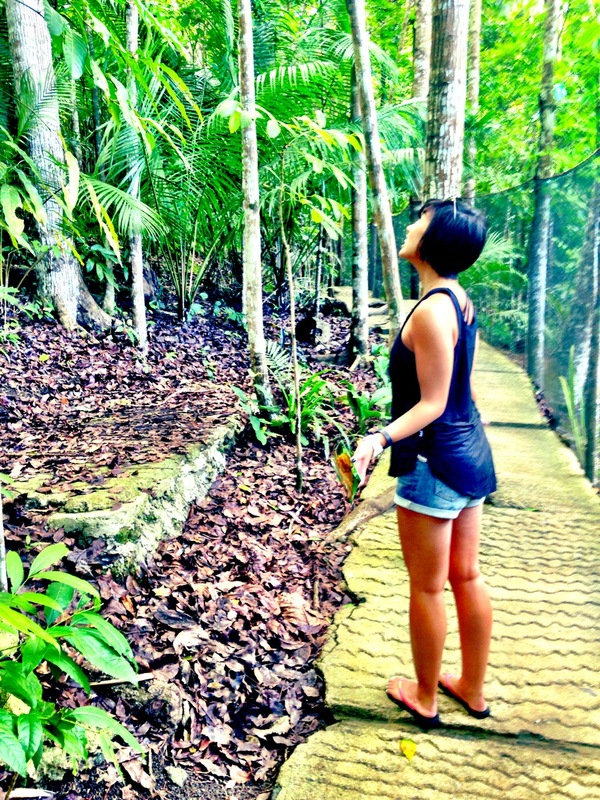 Or, did you also visit the Loboc Tarsier Conservation Area? What are your thoughts on the experience?